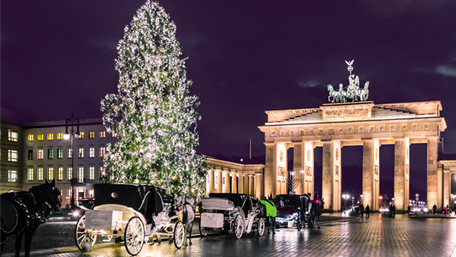 It's almost time to get you all involved in our Christmas Puzzle to win a Weekend for two in Berlin! Win a Weekend for two in Berlin! With Christmas fast approaching it's time to get involved in our Christmas Puzzle, now in its third year! Our Puzzle this year focuses on the last 12 months; with each of the 12 question relating to something that happened in each month of 2016. As always we've made some of the questions particularly fiendish. All you need to do is answer the questions, find the letter clues and then solve the resulting anagram to reveal the 'festive' answer! If you already receive our emails check your inbox for details and the link to play. Or sign up to our mailing list using this link for your chance to win one of our great prizes. We have prizes for various lucky people who solve the questions. Names will be drawn at random from all the correct entries. To be eligible for the star prize you will need to follow @E3Consulting on Twitter (or like our page on Facebook) or ensure your company does. We will also have a runner–up prize for non-followers as well as a prize for the first to complete the puzzle correctly, so there is all to play for! (see prizes below). *Top Prize - £400 worth of holiday vouchers which can be used for a weekend for two in Berlin (or if you prefer can be topped up for a trip somewhere else). NB: To be eligible for the star prize you will need to follow @E3Consulting on twitter (or Facebook) or ensure your company does.